Just seven weeks remain in the 2018 NFL regular season, and some teams are facing near must-win situations entering week 11. Let’s take a quick look at some of the best NFL games to bet on this week. Week 11 of the NFL season kicks off with a terrific Thursday Night Football matchup between the Seattle Seahawks and Green Bay Packers. Both the Seahawks and Packers sit just outside of the playoff picture in the NFC, and the loser of this game will likely see their playoff hopes ended. 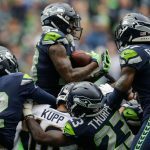 Seattle has been the top rushing team in the NFL this season, and they will look to get their ground game going early in this game. Green Bay will likely let quarterback Aaron Rodgers lead them. Rodgers has thrown 17 touchdown passes this season, and he will need to have a big game against Seattle. The Seahawks have been playing better on defense of late, but Rodgers and company will prove to be too much. Bet the Green Bay Packers +2.5 to beat the Seahawks on TNF. Perhaps the biggest game on Sunday will take place in the Windy City between the Chicago Bears and Minnesota Vikings. The winner of this game will take over first place in the NFC North, and will put themselves in great shape to make it to the playoffs. Chicago has been the biggest surprise in the NFL this season, and feature a top-5 offense and defense. Second-year quarterback Mitchell Trubisky has completed 65 percent of his passes and has thrown 19 touchdowns. Khalil Mack leads a reborn Bears defense that is capable of making a big play on every snap. Vikings quarterback Kirk Cousins has been solid in his first season in Minnesota, especially getting the ball to Adam Thielen. 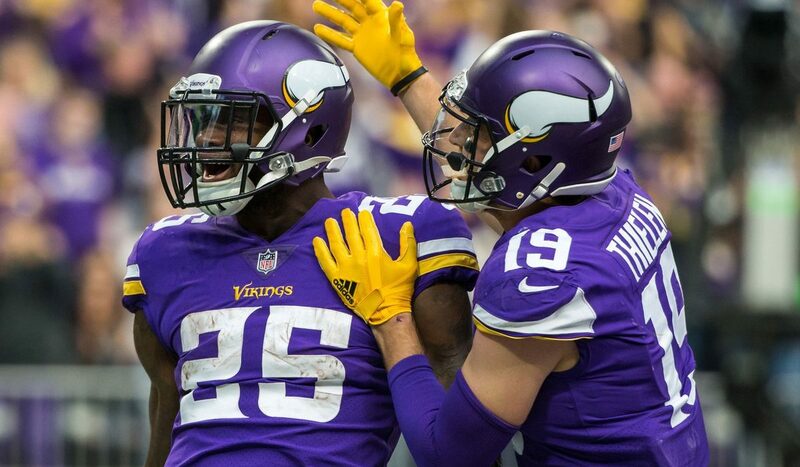 Thielen leads the NFL with 947 receiving yards and has caught seven touchdowns this season. Minnesota was supposed to win this division this season, but the Bears appear ready to take control. This game will be a battle, but Chicago wins with a late touchdown. Bet the Chicago Bears -3.0 over the Vikings. The red-hot Indianapolis Colts will take on the resurgent Tennessee Titans in an AFC South battle on Sunday. The Colts have won three straight games, while the Titans are coming off of their most impressive wins in recent memory. Quarterback Andrew Luck has been terrific for the Colts this season, throwing 26 touchdown passes to just seven interceptions. The Colts defense has been struggling this season, giving up 26.6 points per game. Darius Leonard leads the team with four sacks and 96 solo tackles this season. The Titans defense has carried them all season long, allowing just 16.8 points per game this season. Tennessee absolutely shut down Tom Brady and the Patriots offense last Sunday, and the Titans are starting to look like a playoff team again. The winner of this game will still have a legitimate chance of catching the Houston Texans in the AFC South, and our bet is that the Titans will be that team. Bet on Marcus Mariota and the Titans +2.0 over Luck and the Indianapolis Colts. This was supposed to be a matchup of two of the top NFC teams, but the Eagles have fallen on hard times. 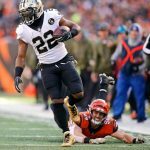 Philadelphia comes into this game with a 4-5 record, while the New Orleans Saints have won eight straight games to vault to the top of the NFC. The Eagles do feature a top-10 defense, giving up just 20.3 points per game, but they will face a tough test in this game. New Orleans is averaging 36.7 points per game on the season, and quarterback Drew Brees looks like the MVP of the league. The fact that this game is at the Mercedes-Benz Superdome gives the Saints an even bigger advantage in this one. Philadelphia looks like it will miss the playoffs a year after winning the Super Bowl, and they will get blown out in this game. Bet the New Orleans Saints -8.0 over the Eagles on Sunday. If you are living out east and betting this game, check out some of the top West Virginia sports betting sites to place your bet at. The Monday Night Football game will be played in Mexico this week, and it is one of the best matchups in recent memory. The 9-1 Los Angeles Rams will take on the 9-1 Kansas City Chiefs in what could be a Super Bowl preview. Both teams are led by young quarterbacks, and this game could likely get into the 40’s. The Rams were dealt a tough blow on Sunday when they lost wide receiver Cooper Kupp for the remainder of the season. Chiefs quarterback Patrick Mahomes looks like he can’t be stopped, and running back Kareem Hunt has been running over people this season. This should be a terrific matchup, but the Chiefs have more talent on offense. Bet the Kansas City Chiefs +2.5 to beat the Rams in Mexico City.